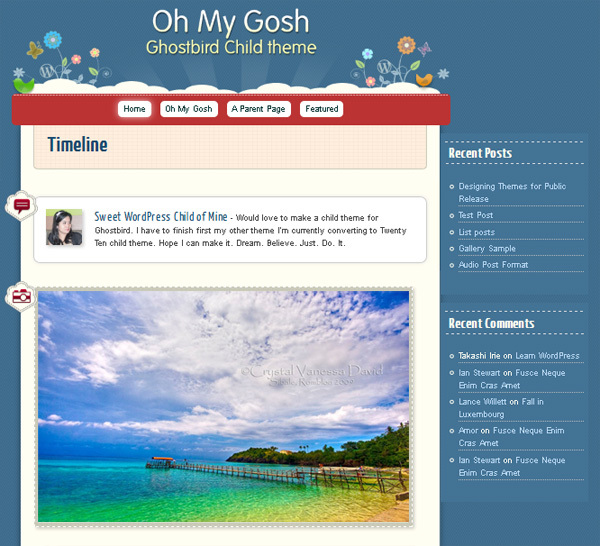 I’m happy to announce the release of my first free WordPress theme, Oh My Gosh, my Ghostbird child theme. 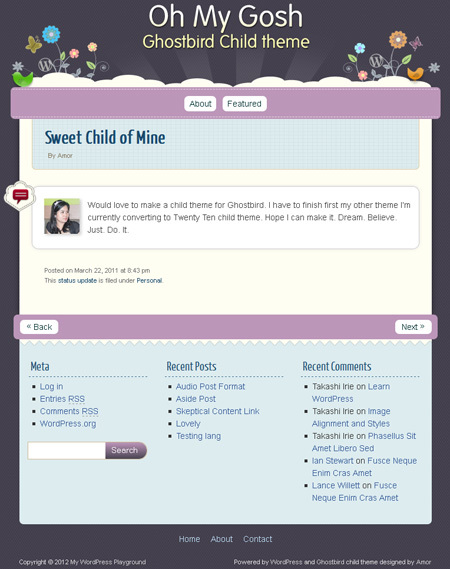 It’s a Tumblr-style theme good for microblogging. 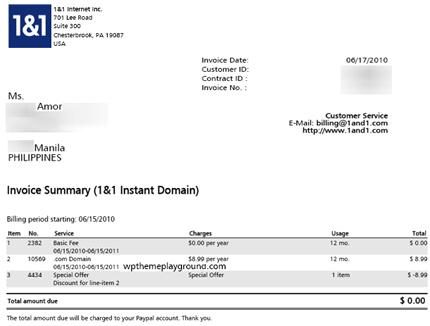 Although I made some free WordPress themes before, those were specifically made for some of my blogger friends (2 of them). 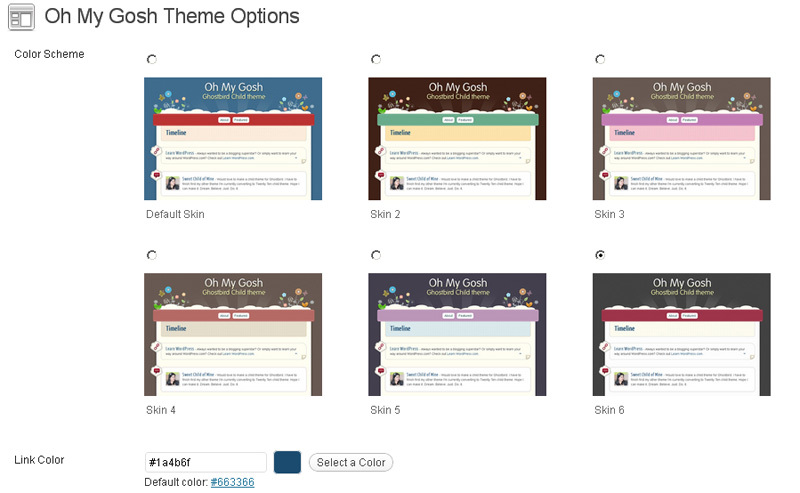 This one is different because it will be availabe for everyone and it’s also a child theme. 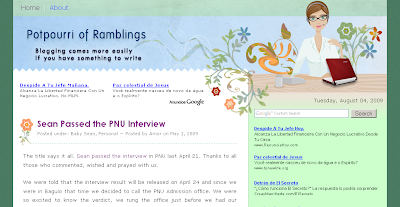 It’s been a year since I first worked on it, on and off kaya inabot ng hundred years. Few months ago, just when I was about to release it, I’d see bugs, or I’m thinking of something else to add. I also made it as responsive as possible. 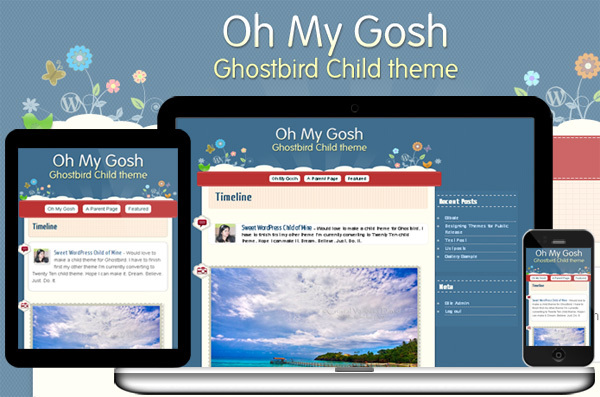 In order for you to use Oh My Gosh, you have to install its parent theme, Ghostbird. 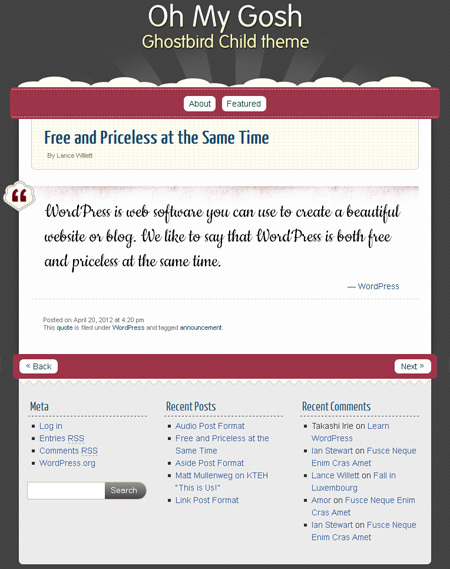 Ghostbird is a free one-column theme for WordPress developed by Michael Fields, Theme Wrangler at Automattic. 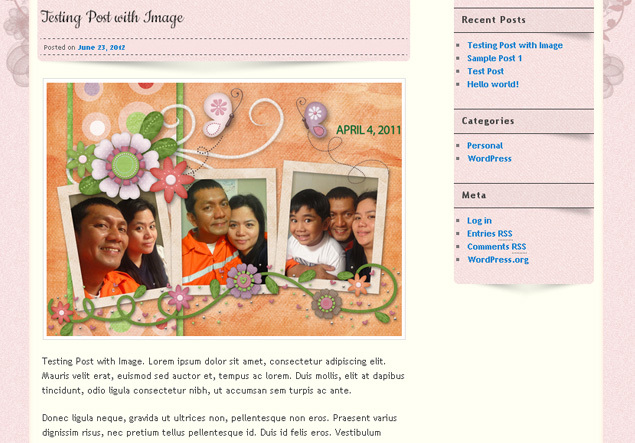 It has flexible width, custom background, custom header, custom menu, post formats and is translation-ready. 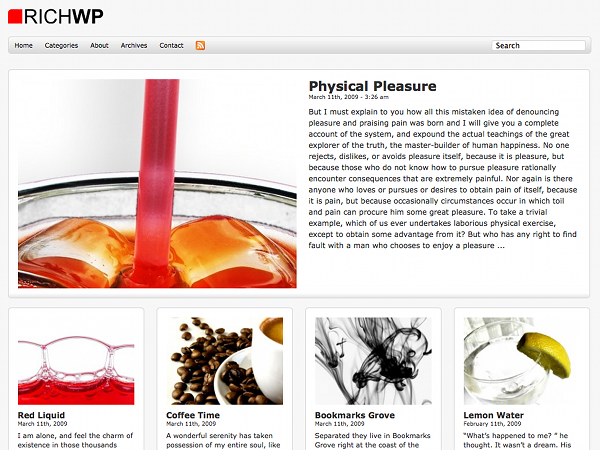 It’s also the same theme I am using in My WordPress Playground site. Here are 2 full screenshots of this theme. Just want to say the theme looks great!